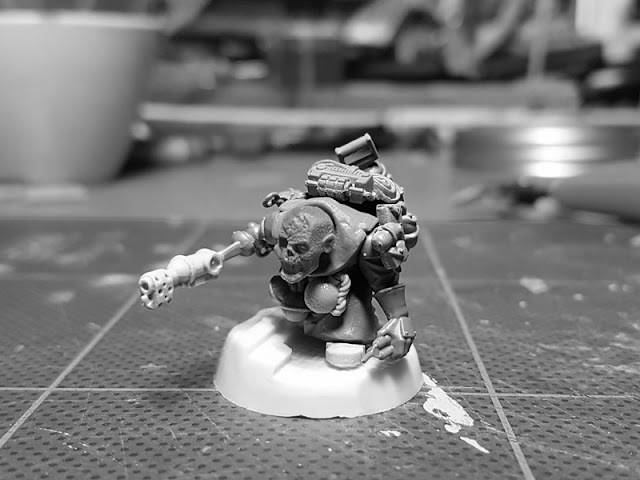 Needed a new theme, and since I really like all kinds of conversions, I decided to see if I could make a batch of Void Pirates. 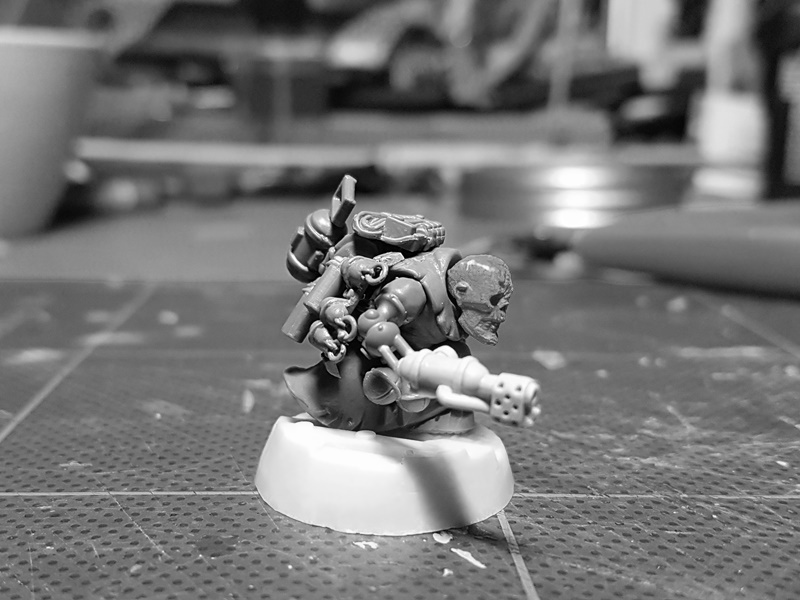 First up is Crazy Ivan, Void Pirate Demoequilibrist and Hull Breacher. Fantastic little character. Love the way he's festooned with ordinance. What did you use for his body (hard to tell under all the gear)? Festooned with explosives and crazy as a bedbug. Love this little guy.